When you are in the situation where you need to find a lawyer, chances are you’ve seen better days. In a big city, there are many, many options to choose from – regardless of your needs. With more lawyers to choose from comes a great degree of caution to take in your selection. Unfortunately, the harsh truth of the matter is there are lots of lawyers with a wide variety of skills in major cities. That being said, it is not wrong to be very careful in who you choose to represent your case, for there can be serious (and expensive) consequences otherwise. 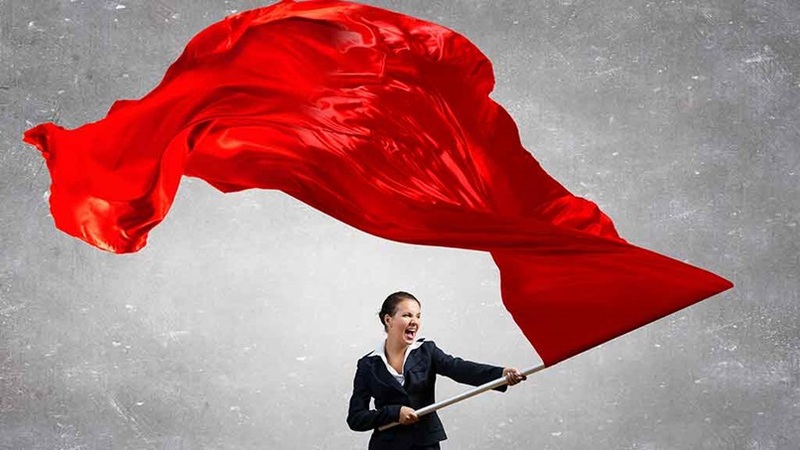 Now, there are many red flags to look for when shopping around for legal counsel. However, there are a few that are more or less universal. Here are three of the major ones. If you watch late night TV, you’re probably used to getting bombarded with commercials for local lawyers and have all the jingles memorized. In larger cities, this is sometimes taken to the extreme. Now, while there are certainly good lawyers out there who advertise their services on TV, most are not going to get you the results you need. Furthermore, many of these operate their practice to gain as many cases as possible and encourage fast settlements – YOU DO NOT WANT THIS! If you go this route, there is a very good chance you will end up with much less than what the case is worth. Always remember, the best lawyers do not need to spend a huge chunk of their money on TV spots. The most successful lawyers in their niche do not typically advertise their services too often; they get many new clients from word-of-mouth, referrals, and positive testimonials. So, when you are conducting your research, start by asking your friends and family who may have been in a similar situation or know someone who has. See if they had a good experience with a particular lawyer in the area. Next, be sure to look into online reviews. Keep in mind, some lawyers will try to manufacture fake testimonials and broadcast them on their website. Play it safe and look at their Google Reviews or ones on a verified platform. 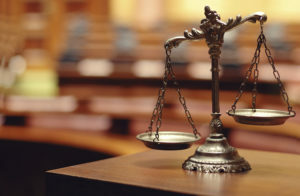 While most laws and legal processes are more or less the same across the country, there can be a decent amount of smaller details that are unique to a certain state or area. In larger cities, there is going to be a certain legal landscape that impacts the process. To give you an example, in a giant city like Los Angeles, there are more cars on the road than just about anywhere else in the country. That said, there will definitely be some differences in how traffic-related legal cases are handled compared to a small city in the middle of Iowa. On the surface, some of the laws themselves are slightly different. For instance, if you buy a defective vehicle in Los Angeles (or anywhere in California), you have much more than only the first 18 months from the purchase or until 18,000 miles use to determine if the vehicle is eligible for a lemon claim. In California, all you need to establish a claim under its lemon laws is (a) a defect covered by the warranty which substantially impairs the use, value, or safety; and (b) having given the manufacturer, or warrantor, through its authorized repair facility, a reasonable opportunity to repair the defect. However, in Iowa, you may only have 24 months from the purchase date or until 24,000 miles accrue on the odometer. Additionally, the general approach lawyers take to these types of cases may vary in bigger cities. A good lemon law attorney in Los Angeles would hopefully be committed to speedy buybacks and getting as many defective cars off the crowded streets as possible. How long have you been operating in this city? What are some of the unique challenges you’ve noticed in the legal landscape of this city? In a big city, it’s almost a given that a good lawyer will be swamped with cases. However, this does not mean they should compromise the level of individualized service they provide. One of the most common telltales of lawyers who run their practice with an emphasis on the number of cases vs. hands on effective representation is whether they pass much of the client communication to assistants or paralegals. If you meet with the lawyer briefly at the beginning of the process, then never see or hear from them personally again, this is a giant red flag that your case isn’t getting the amount of attention it needs for the best result. This is common with some of the nationwide legal firms. Many of these make their money based on the sheer volume of clients they sign. They will draw people in by advertising cheap rates and quick turnaround times. Similar to the TV lawyers mentioned earlier, they will encourage you to take settlements that are valued lower than what the case is worth. In your initial meeting, if the lawyer seems overly rushed and isn’t asking substantial questions or providing fruitful answers, this is a key sign that you should look elsewhere. In a big city, many of the top rated lawyers go out of their way to avoid the stigma of being “constantly swamped” and will value face time with the client. To reiterate, the best lawyers get a good deal of business through reviews and word-of-mouth. They will do a lot to maintain this reputation. Finding a lawyer in a big city can be overwhelming. With so many choices, there is a big margin for error and poor results can haunt you for years to come. In life, there are certain things you must always spend the extra money on for quality. As a general rule of thumb, think of hiring a lawyer in the same way that you would purchase a bed, pair of shoes, winter coat, etc. If you go the cheap route and do not conduct good research beforehand, it will come back and bite you in the rear.